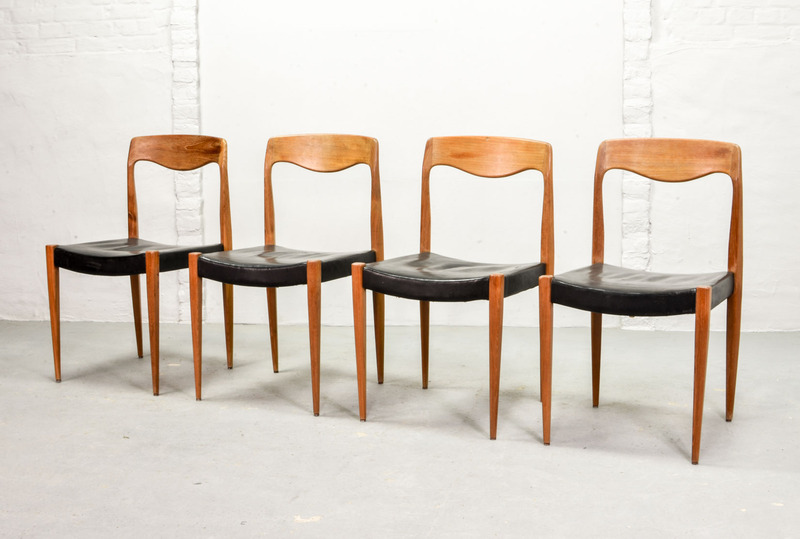 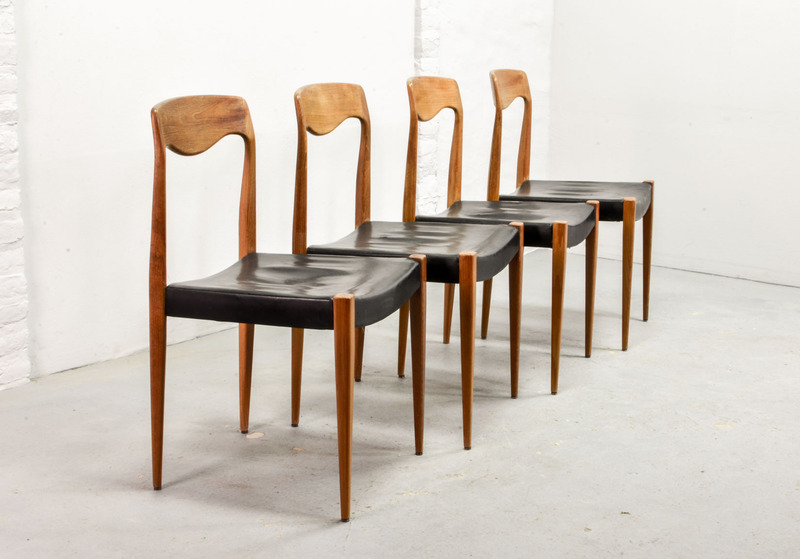 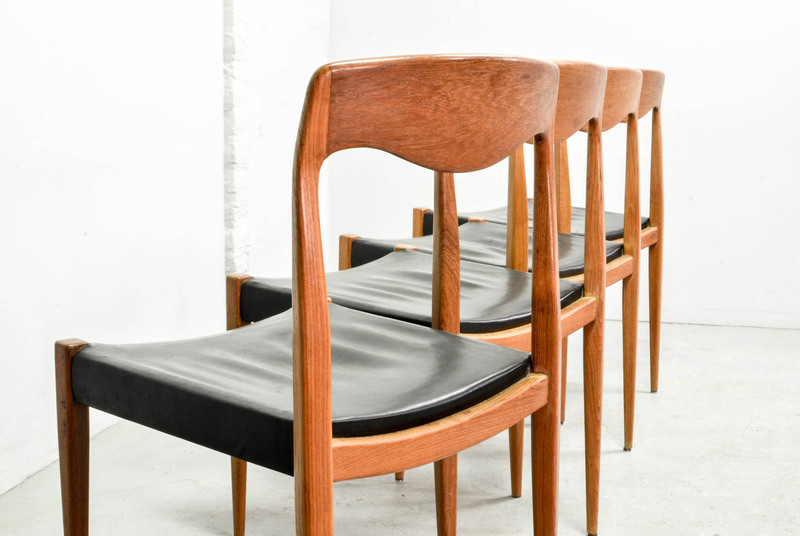 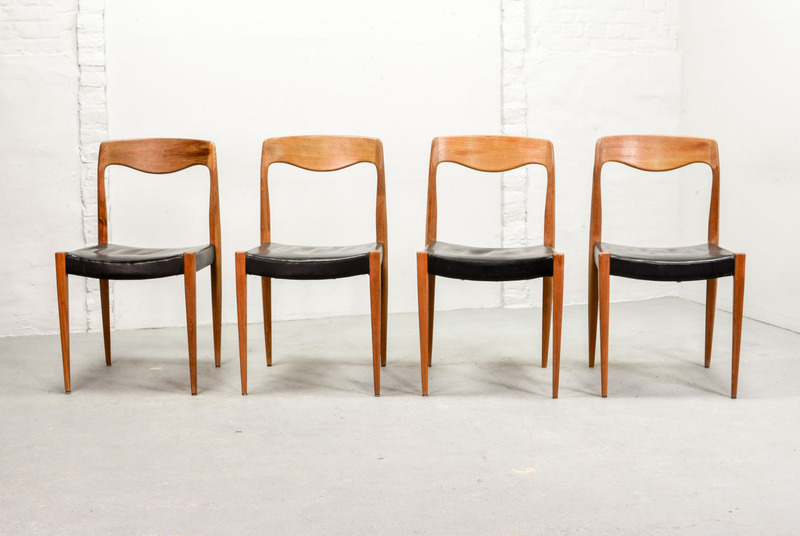 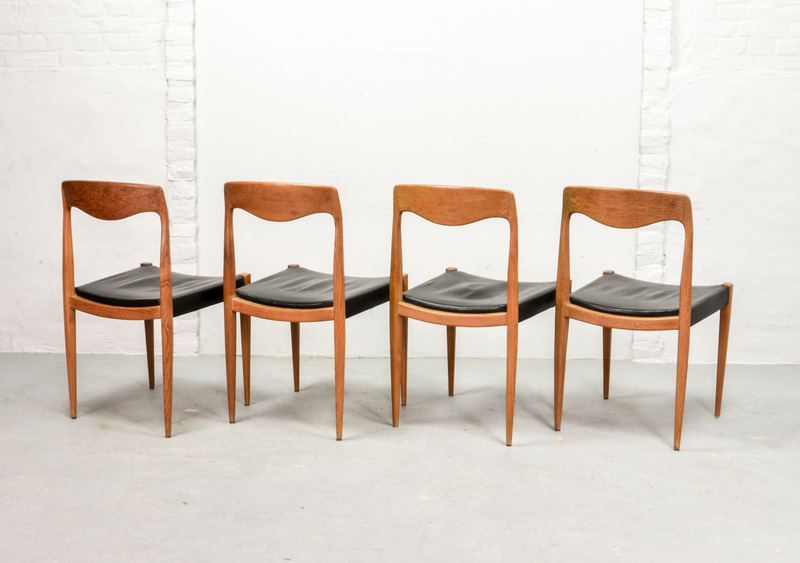 Authentic Scandinavian set of four black leatherette dining chairs early edition model 71, after N.O. 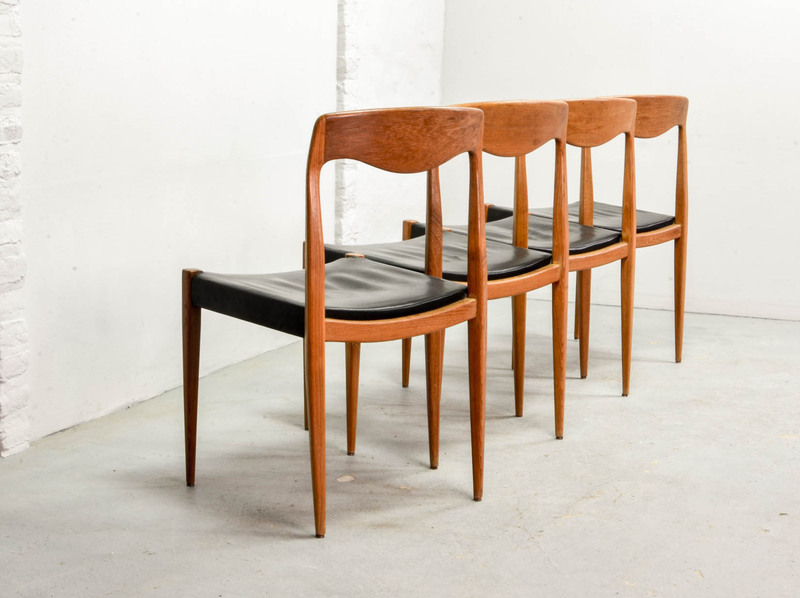 Moller, produced in Denmark in the 1950s. 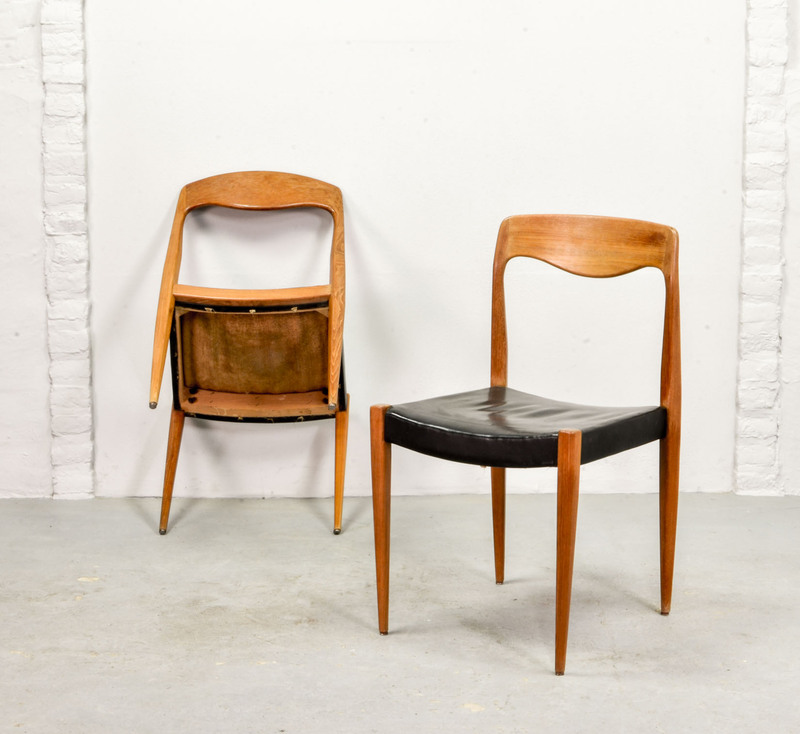 The oak frame is upholstered with the original – very nice patinated – black leatherette. 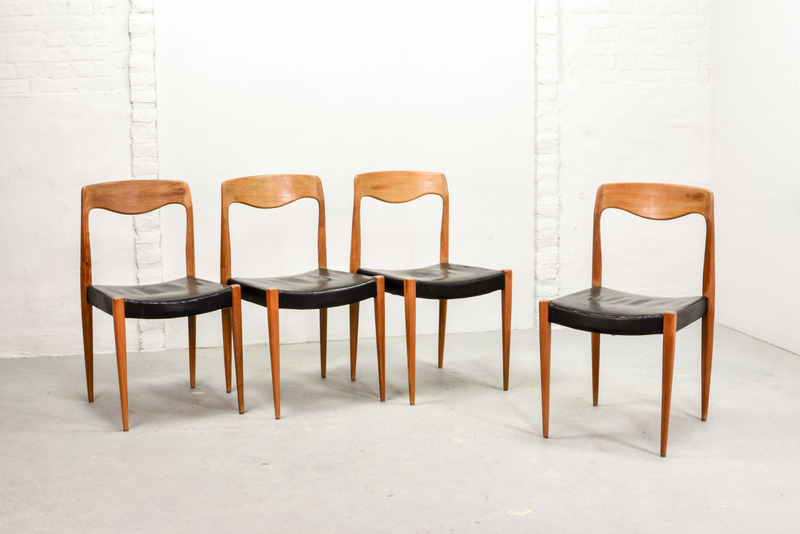 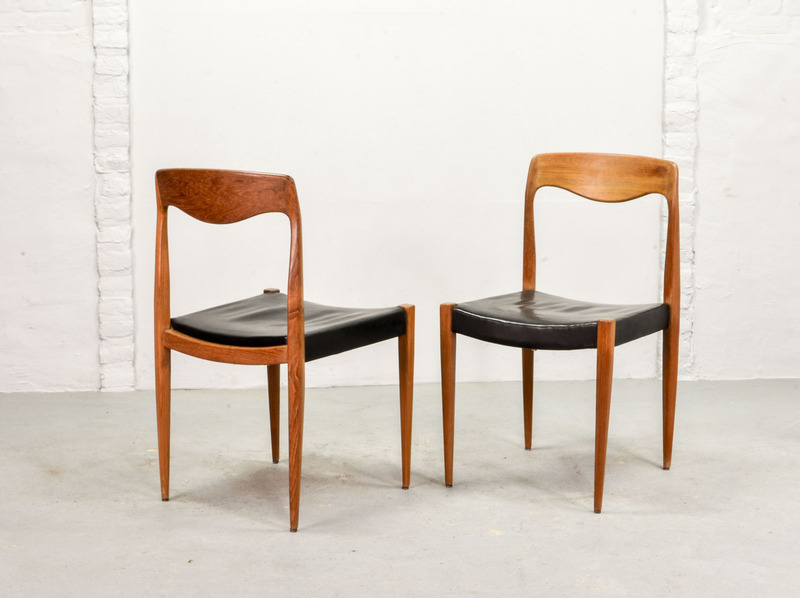 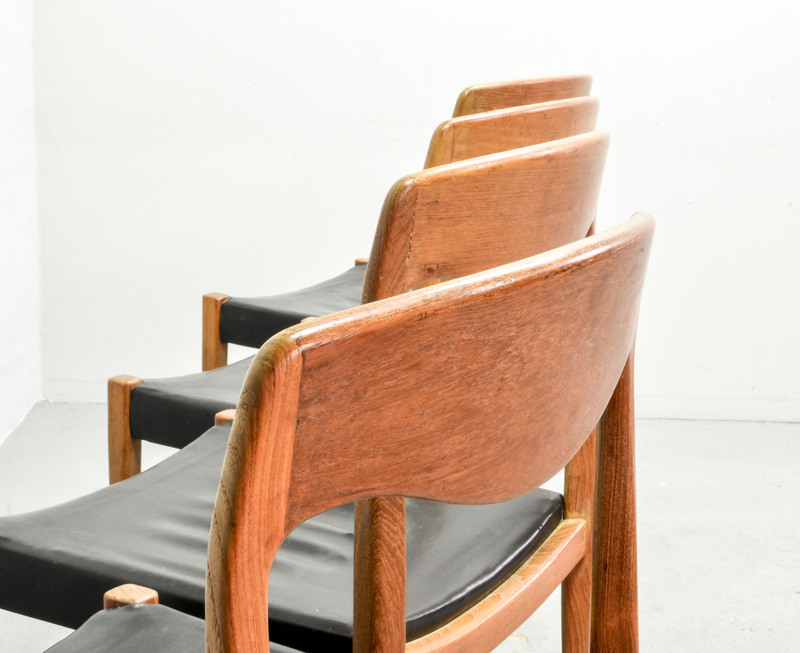 This set of original chairs still remain in good condition with some slight traces of wear consistent with age and use.